Acta Cryst. (1997). A53, 535-536. The early death of Ted Maslen at 61 years of age during a long-distance race was a tragic loss for crystallography. 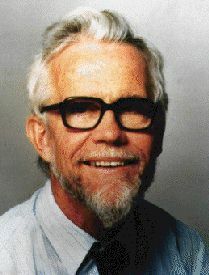 Widely known and respected as an authority in precision electron-density studies, Ted's research contributions to crystallography spanned some 40 years, from his early work with Dorothy Crowfoot Hodgkin on penicillin V and cephalosporin C to his recent synchrotron studies of rare-earth oxides. But Ted's contributions were much more than his 140 publications. He was a dedicated scientist who often put service to the community before his own interests. He was a tireless supporter of the IUCr and believed strongly in close international collaboration. He was an outstanding teacher who helped launch many successful careers in crystallography and physics. He was also a remarkable athlete, even in his later years, who deserved his reputation as `the iron man of crystallography', not just because of his fitness, but in recognition of his willingness to take on challenges, scientific and political, which others considered insoluble! Ted Maslen lived and worked almost all of his life in Western Australia. He was born in the remote gold-mining town of Kalgoorlie and was educated at St Patrick's College, Geraldton, after the family moved there in 1947. He was awarded a prestigious General Exhibition in 1951 and proceeded to the University of Western Australia in Perth where he was an outstanding student. His extracurricular activities included sports, excelling in particular at athletics and rowing; he also began to exercise his talent for `politics', becoming President of the Students' Union in 1956. In the same year, he spiked himself at an athletics meet and contracted tetanus, which is often fatal. But, as was his way, Ted prevailed and went on to win the Rhodes Scholarship. This took him to Oxford University and St John's College in 1957-1959 to complete his DPhil with Dorothy Crowfoot Hodgkin, the 1964 Nobel Laureate in Chemistry. Two papers typifying his early work were Hodgkin & Maslen [J. Biochem. (1961), 79, 393-402] and Abrahamsson, Hodgkin & Maslen [J. Biochem. (1963), 86, 514-535]. In Oxford, he also met Sheila Robinson whom he married, raising subsequently a family of eight children. He returned to the University of Western Australia in 1960, as Lecturer in Physics, and there he remained for the rest of his career, becoming Senior Lecturer in 1963, Reader in 1968 and Head of Department in 1993. On his return to UWA in 1960, he took over a diffraction group started by Professor C. J. Birkett Clews. Having programmed several early UK computers (the English Electric DEUCE and a Ferranti MERCURY), Ted immediately arranged for students to get access to SILLIAC at the University of Sydney, the first computer in Australia. Then, as later, Ted retained a keen interest in harnessing new technology for scientific research. In 1963, he was influential in the purchase of the first computer in WA, an IBM1620, and later a Digital Corporation PDP-6 (serial number 0004), which was used to control one of the first four-circle diffractometers in Australia, a Hilger & Watts Y-231, in 1967. During this first decade of Ted's career, the interests of his research group were directed mainly at the elucidation of organic and inorganic structures (which was still a serious challenge in those days! ), although a shift towards more detailed studies involving combined X-ray and neutron data was evident even then. With the purchase of a second diffractometer in 1971, Ted established a Crystallography Centre at UWA, of which he was Director from 1972 to 1993. Through his leadership, the Centre gained prominence in a number of crystallographic and structural chemistry areas. Ted was an invited speaker at many international conferences. He also served the IUCr as a member of the Commission on Charge, Spin and Momentum Densities 1974-1981, Chairman of the Working Party on Crystallographic Information 1987-1990, Director of Archiving and Crystallographic Information 1990-1993, Chairman of the Committee on Electronic Publishing, Dissemination and Storage of Information 1993-1996, and a member of the Executive Committee 1984-1990. He was President of the Society for Crystallographers in Australia 1980-1981 and Organizing Chairman of the 1987 IUCr Congress in Perth. In 1995, Ted was made a Fellow of the Australian Academy of Science. Throughout his career, Ted's enthusiasm, energy and careful supervision attracted many research students to his group; one of these was Hugo Rietveld (PhD in 1964) who developed methodologies for refining crystal structures from powder diffraction profile data. Ted was a good theoretician who supervised students in computational physics but his main interests were experimental, with a focus on extracting the utmost out of measured diffraction data for families of related crystal structures. His pioneering work in the investigation of chemical bonding from precision density distributions used techniques such as multipole refinements, promolecule modelling, Hirshfield charges and partitioning to study transition-metal complexes (3d electrons), lanthanide complexes (4f electrons), perovskites and related structures. In the nineties, Ted's research concentrated on the use of synchrotron radiation and microcrystals to reduce extinction errors in precise studies of oxides and carbonates, work done in close collaboration with Japanese scientists at the Photon Factory at Tsukuba. Here, as always, he exploited the experimental possibilities of the latest technology to their utmost. Papers that typify his work during these periods are Allen-Williams et al. [Acta Cryst. (1975), A31, 101-115], Trefry, Maslen & Spackman [J. Phys. C (1987), 20, 19-28] and Maslen et al. [Acta Cryst. (1993), B49, 632-636]. Ted's commitment to the last IUCr Congress, in Seattle, was typical: energetic and determined in pursuit of his committee and assembly duties, quietly confident and encouraging in private discussions, and incessantly probing his colleagues and students at talks and posters. He expected of others what he always demanded of himself; integrity, forthrightness and rigour. These professional attributes were only part of the man. In his private life, he was dedicated to his large family, an active church goer, an avid sportsman and a committed supporter of many community activities. He served on the South Perth City Council for over 22 years. Ted also loved ballads and music, and those who have heard him sing (on occasions such as the train trip to York at the 1987 Perth Congress, or the closing ceremony of the 1992 AsCA Singapore meeting) will remember his rich voice, and an enviable memory for verse. Throughout this remarkable life, Ted maintained the daily regime of cycling to work (some 15 kilometres) and running each evening for an hour (in bare feet!). He exploited every moment to the hilt, without compromise, without fuss and with a certain humility. On that extremely hot Sunday morning of February 2, the thought of not running with fellow members of the Perth Marathon Club would never have entered his head. He will be greatly missed by friends and colleagues alike, and we share the deep loss felt by Sheila and their children.